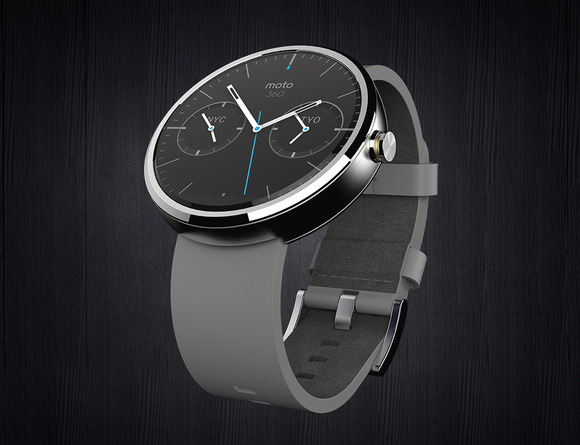 Motorola has finally launched Moto 360 smartwatch in India for Rs 17,999, today. Last month they announced this incredible looking smartwatch in States and now its official in India. The launch price in States was $249 plus taxes and here, its about $295 including all taxes. This round dial smartwatch will only support Android 4.3+ devices and has a touch screen display of 320×290 resolution, all covered with Gorilla Corning Glass. On its inside, it has got TI OMAP 3 CPU combined with 512MB RAM and 4GB internal memory. It has got 320mAh battery under its hood which can be charged wirelessly via its native dock. In order to take care of your physical health, Moto 360 also got Optical heart rate sensor and Pedometer. You can also take this smartwatch to your bathroom, it also has IP67 certification.